Features :NT-H1 _ A hybrid compound of different micro-particles allows for minimum thermal resistance, excellent ease of use and outstanding long-term stability. 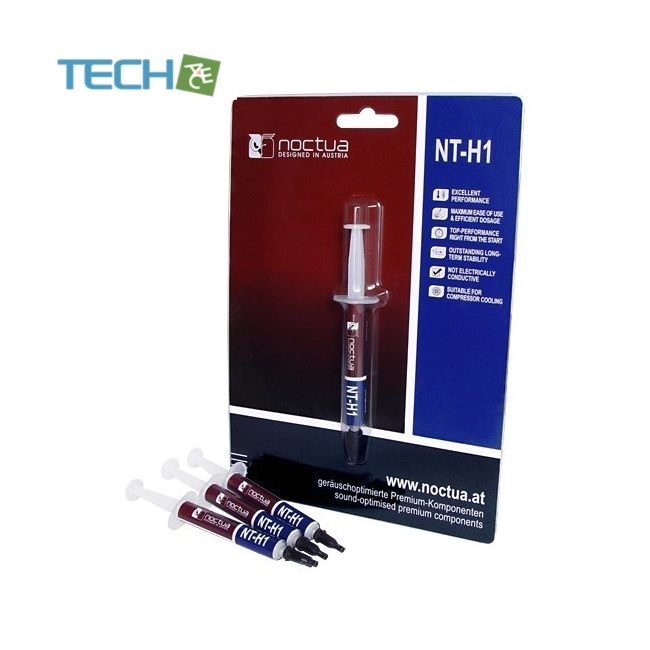 NT-H1 consists of a hybrid compound of different micro-particles, which has been specifically optimized for use in PC environments.Thanks to its extremely low thermal resistance as well as excellent pliability and spreadability, NT-H1 achieves outstanding results. 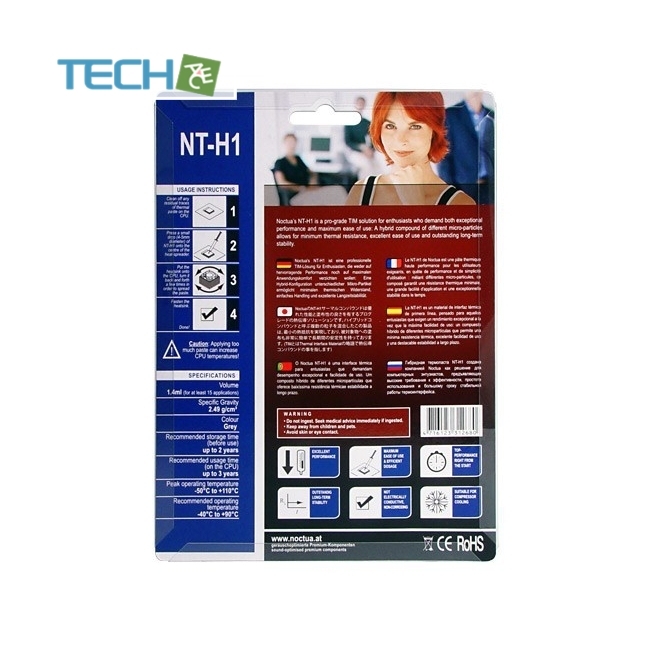 As NT-H1 spreads very well under pressure, there's no need to smear it over the heat-spreader. Thisreduces both the consumption of paste and the time spent on the installation process: Put one drop of NT-H1 onto the centre of your CPU, install the cooler andthat's it! 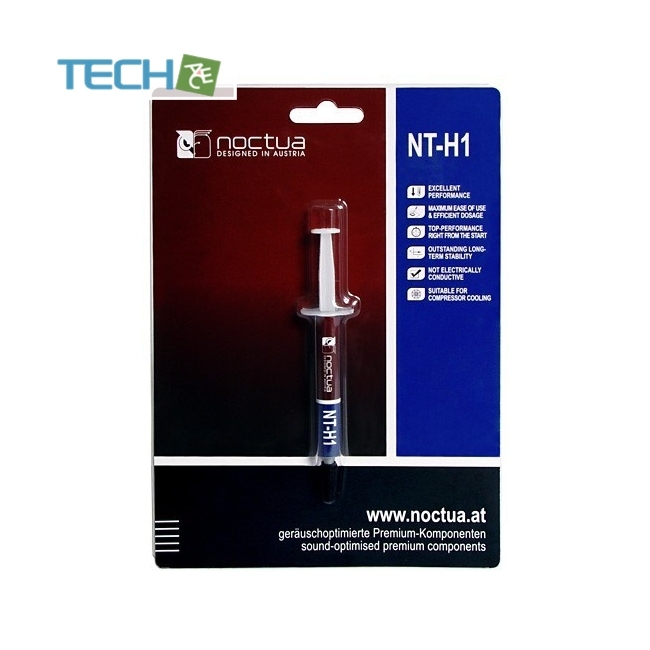 NT-H1 doesn't contain any solvents or other substances with low flash point and provides excellent long-term stability.Due to the compound's exceptional curing, bleeding, dry-out und thermal cycling characteristics, NT-H1 can be used for several years without anyproblems. NT-H1 possesses a very low dielectric constant and a high dielectric strength. Therefore, there's nodanger of short-circuits even in case of direct contact with components or conducting paths. 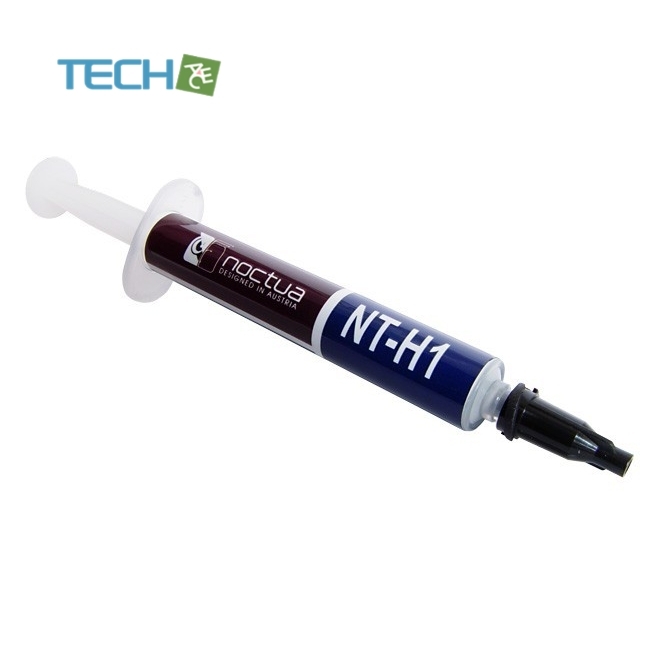 Fully compatible with all materials commonly employed in PCenvironments, NT-H1 is suited for use with aluminium and copper coolers. NT-H1 is perfectly suited for use with compressor coolers. Even at the very lowest temperatures, the paste delivers fullperformance and remains easy to clean off.